Taking its inspiration from the American speakeasy movement, Barts is a tiny, intimate and relaxed bar in South Kensington which promises a refreshingly fun experience - providing you can find the damned place. 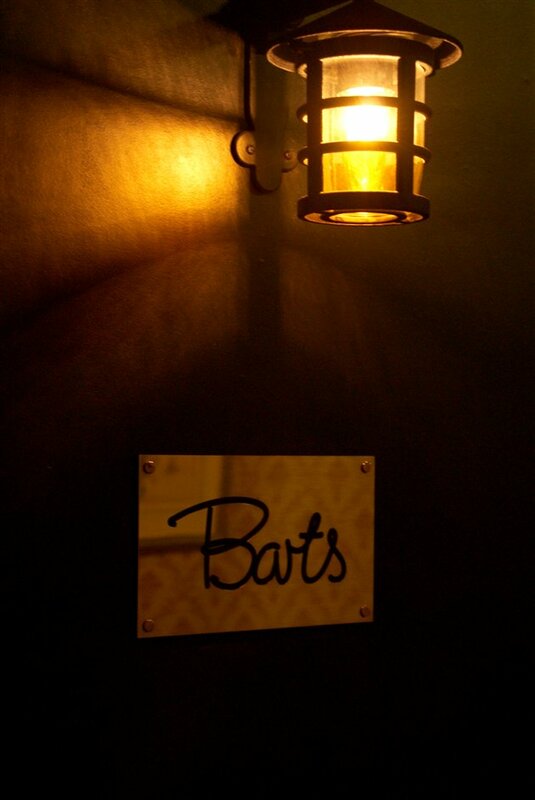 Located on the ground floor of a '30s residential building on Sloane Avenue, Barts isn't a bar you'd ever stumble upon. Once through the unremarkable foyer, you find yourself in a cupboard sized, windowless space covered with comic strip wallpaper. There you have to ring a buzzer and (once given a one-over by the doorman through a small flap in the door) you'll finally be granted entrance (or sent packing). On the other side (should you get in) there are about a dozen small tables in a compact room adorned with clutter and bric a brac: comics, clocks, framed portraits, old radios and squash rackets, pewter tankards and luggage stacked in overhead holders. There's even a dressing-up box - which might explain the staff's bizarre lederhosen-style uniforms. Beers come in 2/3 pint glasses while there's a decent cocktail and wine list plus a no-frills bar menu of feel-good snacks. People will inevitably be snooty about places like Barts due to its West London location and Sloaney connotations (it doesn't help that one of the owners, young entrepreneur and Old Etonian Charlie Gilkes, used to dated Pippa Middleton) but the long and short of it is that this is a fun place to hang out and a cool addition to an otherwise rather uncool area. Barts clubs, bars, cabaret nights, casinos and interesting nightlife. What are the best dining options near Barts London? Barts gyms, sporting activities, health & beauty and fitness. The best pubs near London Barts. Where to have your meeting, conference, exhibition, private dining or training course near Barts. From cheap budget places to stay to luxury 5 star suites see our deals for Barts hotels, including My Chelsea London from 75% off.